The 2018 RACC Commissioner Ballot is Open! The 2018 RACC Commissioner election ballots are now open! This year, there are 6 CRAs running for 3 seats on the RACC. The Radiology Administration Certification Commission (RACC) is accepting nominations for the role of Commissioner on the RACC through October 5. A RACC commissioner shares her preparation and study tips for successfully passing the CRA Exam. 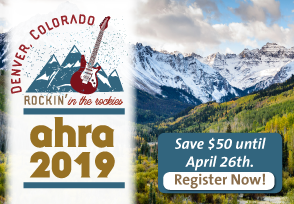 The Vice Chair of the Radiology Administration Certification Commission shares some CRA highlights from AHRA 2018. The Radiology Administration Certification Commission (RACC) is accepting nominations for the role of Public Commissioner on the RACC.